It is really now a race to save human civilization from collapse and ruin. This is something that any person can see once they are alerted to the Great Waves of change, once they begin to listen to the sounds of the world and see the signs that the world is producing. People today feel already that things are not normal, things are not right. There is great anxiety concerning people’s view of the future. Already the Great Waves are beginning to impact the peoples of the world, diminishing nations’ economies, forcing people into ever greater situations of strain and competition. Even today there is a great struggle over who will have access to the food, the water and the energy resources in many, many parts of the world. Yet who is watching the signs, the signs that Great Waves of change are now coming? Who is paying attention? And for those very few who are, who has the courage and the strength to recognize that this is a calling—a calling for service and contribution, a calling for them to reconsider their lives, their circumstances, their activities and their obligations? Passage from The Race to Save Human Civilization. 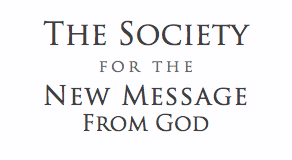 A New Message teaching for the world. Join the Free School to explore “Preparing for the New World”. One Response to "The Race to Save Human Civilization"
It’s also clear for us that we are in a time of urgency.